We opened up hour 2 of the show with Jerry Crasnick of ESPN.com and Baseball America. Jerry gave us his take on the Robinson Cano signing. What else do the Yankees need? Whose next on the Red Sox radar? When will David Price get traded? Can the Mets get a shortstop? Red Sox Senior VP Adam Grossman then joined us to talk Red Sox offseason, next season, and tickets going on sale. Is David Ortiz a Hall of Famer? Will Jackie Bradley be the Red Sox center fielder in 2014? Will Jacoby Ellsbury get booed in his return? We finished the show talking Celtics and how good of a coach Brad Stevens is and how bad the Atlantic Division and the Eastern Conference has been. Can the Celtics make the playoffs? When will Rajon Rondo come back? 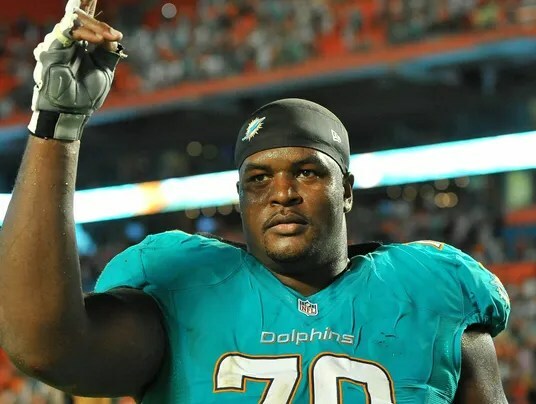 Dolphins left tackle Bryant McKinnie joined us to open up the show. How did the Incognito/Martin drama affect them? Is he thinking playoffs? Who is there to watch out for on the Patriots defense? We previewed Patriots-Dolphins and gave out our NFL week 15 picks. Here’s my FanIQ.com picks for NFL week 15. My FanIQ.com story on the Mets offseason so far and what else this team has to do to become contenders. Check out my three FanIQ.com classic finishes Sunday around the NFL. Did the Yankees overpay for Ellsbury? Were they right letting Cano go to Seattle for $240 million? What do they do next? How about the Red Sox…was Pierzynski the right move at catcher? Will Jackie Bradley be the starting CF come Opening Day? Are they still favorites in the AL East? Whose left on the board? Where does everyone wind up this week for the Winter Meetings? All that and a whole lot more in the first hour of The Weekend with Jake & Drew on ESPN Radio New Hampshire 900AM and 1250AM.